It's tough to gauge exact power ratings and when they are rated specifically they're not usually accurate. The thing to factor in the most is the torque figure. Just let us know the engine and power/torque figures you expect and we'll provide the best recommendation! I'm running one of the sprung 6-puck ceramics in mine and couldn't be happier with it. As to be expected with a high-bite clutch, there is a little bit of chatter if you don't bring the revs up but it is getting smoother and smoother all the time with wear. I previously ran an Exedy Organic clutch and this absolutely smokes it. The pedal feel is basically stock but it will happily snap 3rd with not even a hint of slip under full power behind a 230kW RB30. Highly recommend them and will be running Competition Clutches again. with the Exedy were you use the homo looking pink pressure plate OR the silver sports pressure plate? Which comp clutch you running? Whats the pressue plate rating and what are they rated to? Dave's got the RB stage 4 6 puck ceramic. Previously had the pink plate Exedy. The stage is a bit confusing but the main thing to focus on is what you are using the car for. If it's a street car with moderate power it's generally best to keep to the organic clutches as they are more street friendly and have more forgiving engagement. If it's for track and has more power the ceramics are a better bet. If it's a street car with high power and big torque you will need to let us know the power figure and we can give you a recommendation. 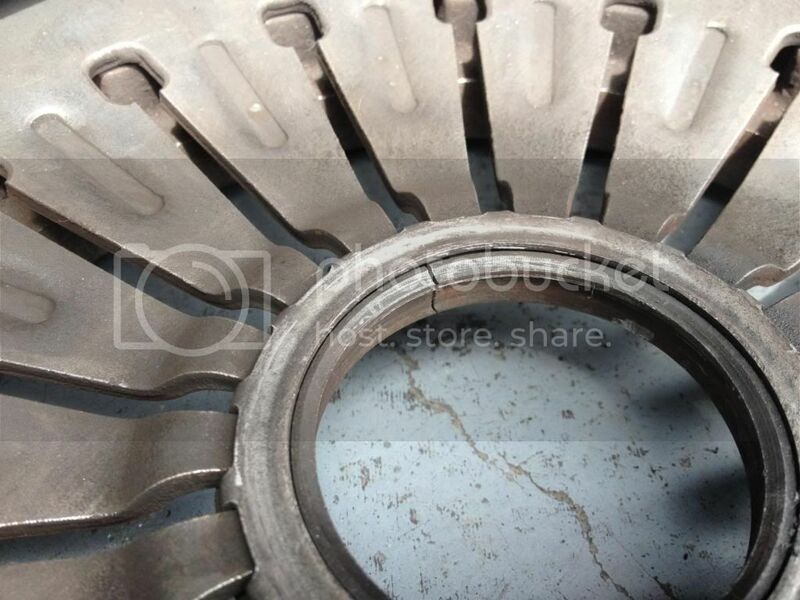 The Stages are a guideline for comparison to other clutches in the market that use that rating system. had a stage 2 in an evo 7 for 12 months, thrust bearing centre on the pressure plate cracked in 2 pieces. running 200awkw (so not big power) and launched twice. happened to few other evo guys. got a replacement after many to and fro with the other dealer after he refused to give refund but i was hesitant so will see how this replacement goes. clutch pedal feel isn't that great, hill starts if not done properly burn easily and gets smelly. I would say that's a very unusual case. 1st negative feedback I've heard but appreciate you sharing it. If you had purchased through us the replacement on anything with an issue is drama free and very fast. 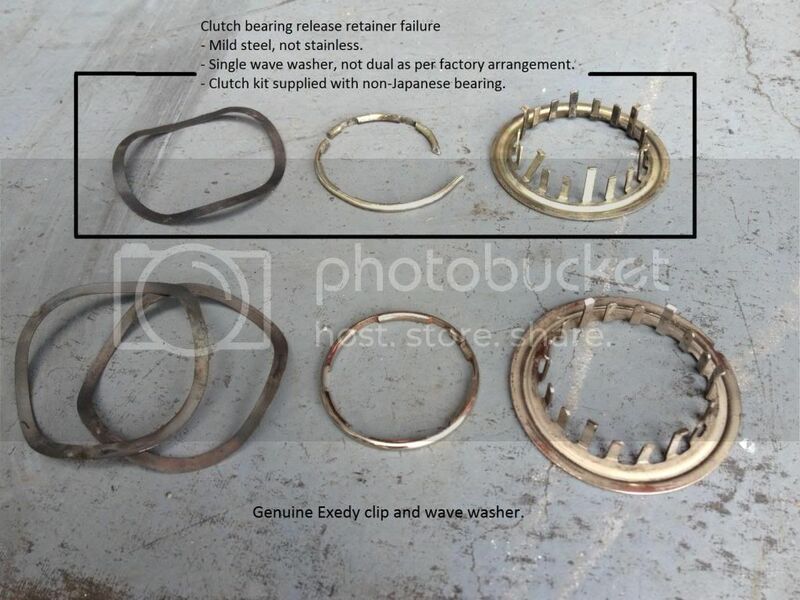 Exedy is not a good option for anything warranty related and if you have a look you will find a lot more negative stories about their clutches. We also offer NPC which is always an excellent option for quality, service, and reliability however the price reflects that as well. my car is making 300+ kWs and get's abused on the track as well as the street. 1 bad review shouldn't keep anyone away. We've sold dozens of clutches now for a range of cars and power from 100kw up to 500kw and nothing but good feedback. This includes track cars and drift cars that see nothing but abuse. Their warranty offers 2 replacement clutches if anything goes wrong. One to replace a failure and another to cover the labor cost for replacement. Hard to match that confidence and support. We'll get some more feedback up here for a wider variety of cars! In this particular case there was a lot of help offered and it was looked into thoroughly by CC USA and in Australia. The support was there without question. Furthermore, this was the only clutch to come up like that and it seems that the incident only had single wave washer used but should have had 2 wave washers. All the evo clutch kits come with 2 wave washers now. The clips are manufactured up to OEM specifications and we have very little problems with them here and in U.S. even though evo clutches are notoriously problematic. We hope this clears things up a bit and provides some background info for the 1 issue mentioned so far. there is actually 2 cases with same fault (may be bad batch problem) as both were purchased at same time but also alot of other cases of clutches lasting no more than 10,000km, all evo related so only need to see the large thread on evooz forum about it. the other fella with the same issue i spoke to refused to accept replacement but i gave the company and the clutch another chance to prove me wrong. we'll see how it goes but so far it isn't looking good as clutch pedal has starting to feel funny even with clutch pedal adjustment. just a note, competition clutch market their stage 2 clutches "for modified cars that see weekend track use or aggressive street use" they should not in any way deny any warranty claim as covered by ACCC as the product is not fit for purpose as claimed by the manufacturer. my clutch lasted 14 months, which is not a very long time at all for a clutch that is daily driven. may be an issue with 4WD only as it does put alot more strain on drivetrain components. just leaving my feedback for others to consider with the experience i personally had. Those are the only 2 issues they have had so far with so many clutches that have been sold for evo here in AU and comparison to amount sold in U.S with very low warranty claims. Please keep in mind the volume of sales on these clutches especially in the US are huge. Even with massive volume of clutches in use, the issues are few and far between.